Develop your understanding across the Year 4 weekly learning objectives by visiting and completing each day’s mini-maths tasks. Daily practise will build greater fluency in your understanding before tackling the related iQ questions below. Keep a look out for the YouTube logos below the daily mini-maths tasks. A video tutorial is available to give further support with your understanding and fluency. Subscribe to the MyMiniMaths YouTube video tutorial channel for new videos. I passionately believe that education should be free for all users to use. 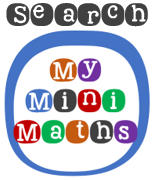 It is my goal to ensure myminimaths.co.uk is free to use – forever. Please do not copy, download or misuse any of the resources, they’re here to stay!